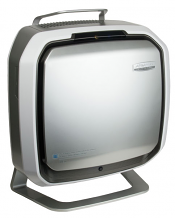 Aeramax Pro AM III Air Cleaner - Floor Stand (Stainless). Cleans up to 700 Square Feet. We spend 90% of our time indoors and nine hours every day sharing indoor spaces with others. While we don’t usually give much thought to indoor air quality, we should. The air we breathe indoors is up to FIVE TIMES MORE POLLUTED THAN OUTDOOR AIR. Public spaces like offices, health care facilities and schools are breeding grounds for bacteria, viruses, dust and allergens, and harsh chemicals and odors. We NEED to clean the air. Why? • Americans get 1 Billion Colds and 60 Million Flu Cases every year. • Respiratory illnesses such as colds, flu, allergies, and asthma are the #1 Reason for Doctor Visits every year. • Flu can spread To others up to 6’ away, mainly by droplets from coughing, sneezing, or talking, and can live in the air for several hours. They can be accelerated or spread by a building’s HVAC system. 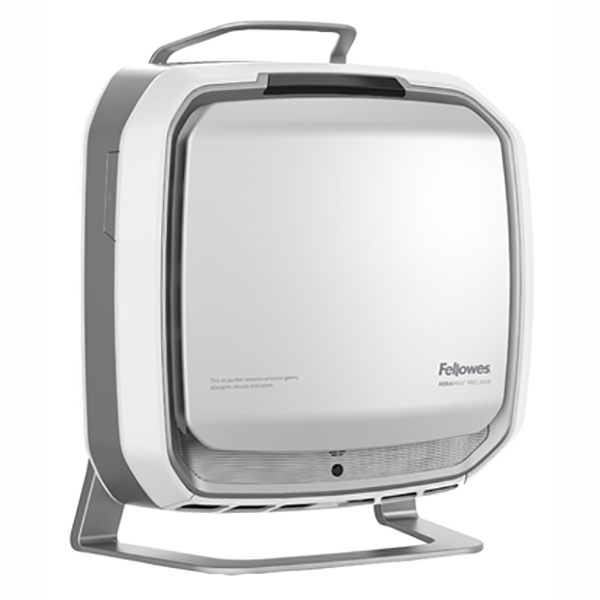 Learn more about this commercial grade air purifier in the Equiparts blog article Improve Your Facility's Cleanliness With A Simple Fixture: AeraMax Pro and learn about AeraMax Pro product features including mode selection, EnviroSmart technology, vandal resistant design, four-stage purification, and more.